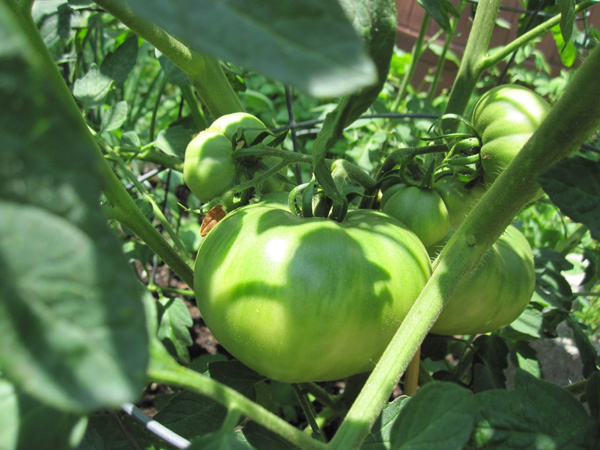 Tim Mountz's homebred Black Ruffle betrays its future awesomenessTo avoid overusing—and therefore devaluing—the word "obsessed," I'll just say that I am endlessly fascinated by the the baby tomatoes maturing steadily in my plot at Bouvier Community Garden. Whenever I go to water, trim or nab some herbs I inevitably spend many minutes just staring at them, and peering through the wily branches to discover new clutches. Happy Cat's Tim Mountz chose well for me. It's so wonderful to watch as the beautiful fruits begin to display tell-tale characteristics of their mature selves—the gnarly ridges on the Black Ruffle, the sunburst color variation on the Isis Candy, the nascent fuzziness on the skin of the peach tomatoes. 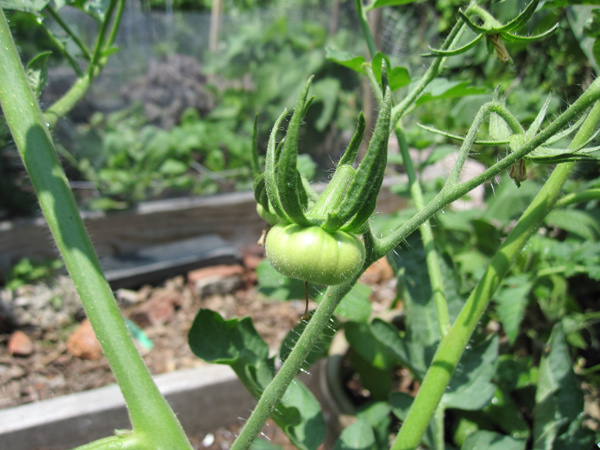 But, this being a community garden, I can't help scoping out all the other tomato babies growing alongside mine. 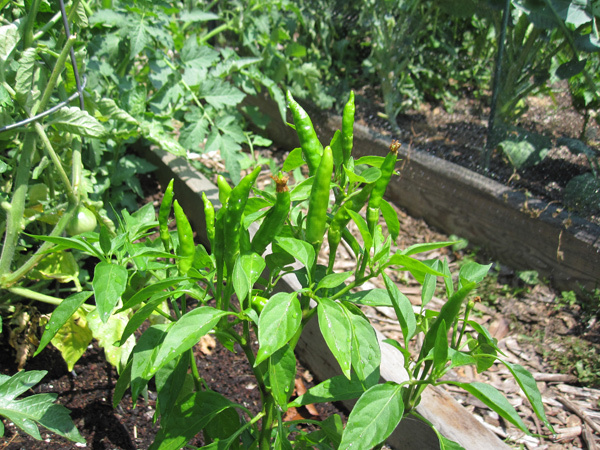 It feels a little voyeuristic, but I can't help gauging the progress of my plants alongside their contemporaries. 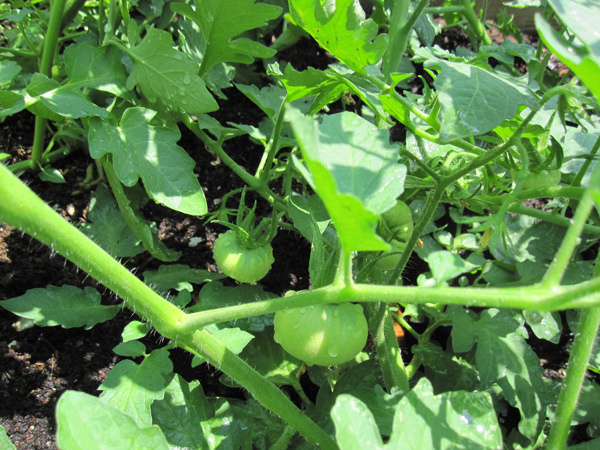 I marvel at the maturity of some of these tomatoes—I'm just hoping mine can catch up. 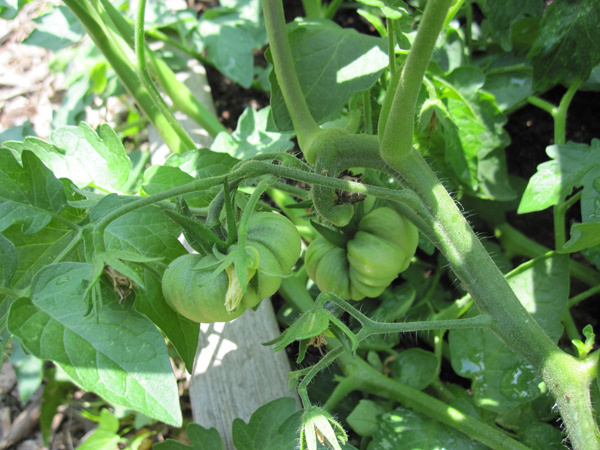 For more on tricky tomatoes, check out Char Vandermeer's July column in Grid. More pics from Bouvier, after the jump.